A description of our experiences and impressions while serving as North American Directors at the Mennonite Centre in Molochansk and Zaporozhye, Ukraine. Svetlodolinskoye is not a big village; in Mennonite circles it is known as Lichtenau. Both titles mean “light.” Lichtenau is known for its train station, which in the 1920's was the point of departure for many Mennonites westward to Canada, and which in the 1940's was the point of departure for many eastward to Kazakhstan and Siberia. This week we were reminded of another major contrast in this village of probably no more than 2,000 residents. This week the village mayor introduced us to one of the most popular current residents of Svetlodolinskoye. 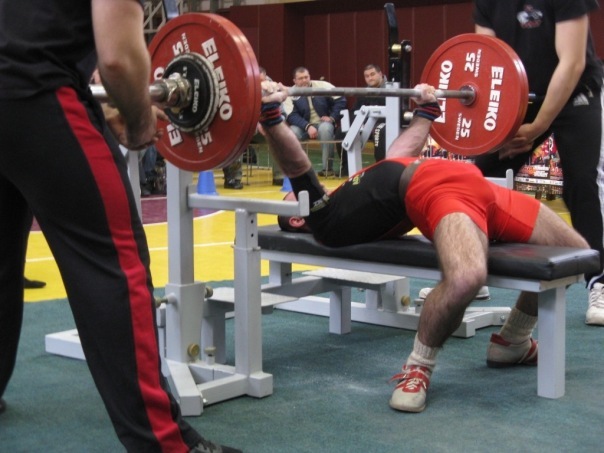 Aram Arzumyan has just been crowned the Ukrainian Powerlifting Champion for his weight class of under 59 kilos. 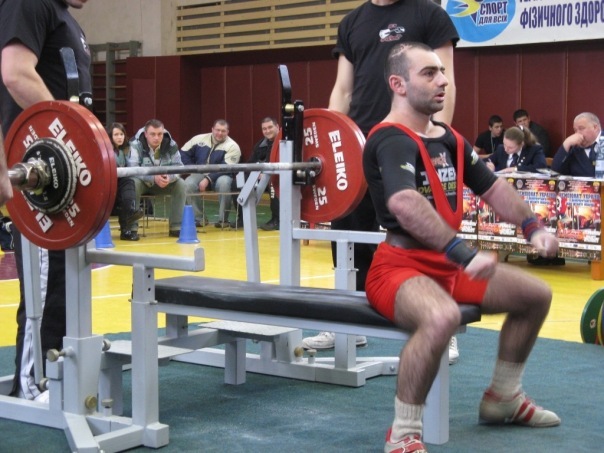 He trains in nearby Melitopol and works at the once-famous train station. He said he knew about the story of the Mennonites and the train station by the pictures he has seen. Being a national champion makes him a hero in this village. 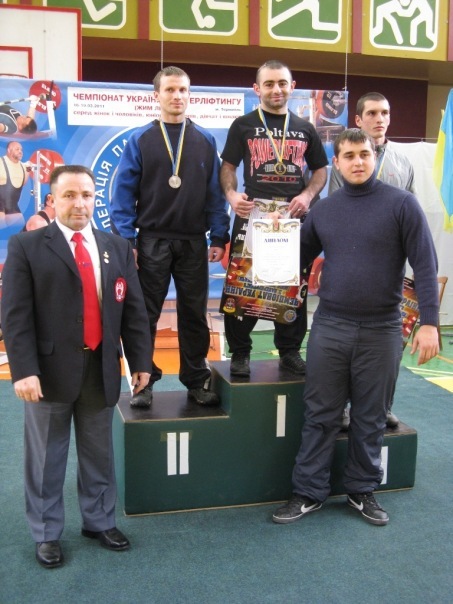 However, the Ukrainian National Powerlifting Team doesn't have a lot of money to send their champions abroad. He wants to compete in the European Nationals and the mayor asked if we can help get him to Europe. He has put in at least 2,000 of his own savings and been able to raise 3,000 UAH from the locals, and we were asked for the remaining 5,000 UAH (around $640). 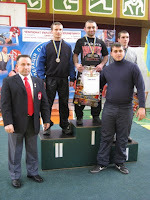 But there is another person from Svetlodolinskoye whom we have given support to. We don't even know his name yet. We heard about him, again from the mayor. Our unknown friend was literally unknown in the system. Apparently he was kept contained in a barn because he is mentally challenged. Over the years he lost all his documents and was basically a non-person. When Dema, our Ukrainian Director, heard of him, he immediately phoned the local psychiatric hospital and asked that he be admitted there. They said they couldn't, because he had no documents to prove who he was. Interestingly, the Director of the psychiatric facility, has just recently asked us for funding for a water cistern. Apparently it's not easy running a psych hospital when the water runs out. Sometimes we get too accepting of the status quo. Aram is not imposing, but he is focused and determined, and will for the first time realize his dream of travelling outside the country, to Czech. The family of our unknown friend simply felt that they were doing the best they could do, but they needed outside help to have him travel outside of his prison to a place that at least offers some care and comfort. For some Mennonites, Lichtenau meant a journey to freedom and for others a journey to despair and death. For Aram and our unknown friend it's a journey to recognition. Thank you, North American friends, for helping people on their journeys.